Previous Can CBD help those with ALS? Can CBD help with Addictions? Have you ever considered yourself an addict to something? Addiction comes from what triggers those happy feels; what we repetitively keep doing because we experience joy out of doing it. Addictions can be healthy if kept in moderation and holds a good purpose. We are habitual creatures, after all. It isn’t this way for everyone, unfortunately, especially when it comes to substance abuse. Drugs like opioids and tobacco can alter the chemicals in a person’s brain to where their body will physically crave the drug. It can get to a point where the person needs to keep taking the drug just to feel normal. Digging one’s self out of an addiction can feel sluggish and frustrating; CBD, however, has shown to help aid people out of their bad addictions. This article will cover some studies done on how CBD affects certain substance addictions. A study demonstrated a significant change for tobacco smokers. Researchers studied the impact of CBD on nicotine addiction by conducting a randomized, double-blind, placebo-controlled study on 24 smokers who wished to stop smoking. Split into two groups, one group was given a 400mg CBD inhaler to use whenever they got an urge to smoke. The other group was given a placebo inhaler. After two weeks, results showed a significant reduction in the number of cigarettes smoked (≈40%) in the CBD inhaler group during the week of treatment. Both groups also showed a decrease in cravings within the first week of the study. These incredible findings give hope! Cigarette smoking is responsible for more than 480,000 deaths per year in the United States, including more than 41,000 deaths resulting from secondhand smoke exposure. This is about one in five deaths annually, or 1,300 deaths every day. Wowza! If more people switch off of cigarettes and use CBD instead, there’s a promising chance that these numbers will significantly decrease. CBD = Solution to Opioid Crisis? As most of us know, one of the biggest problems in the U.S. is the opioid addiction. To put in perspective on how extreme things are: three times as many people in the U.S. die each year from opioid overdoses than from gun-related homicides (according to the CDC, 33,000 opioid-related deaths vs. 11,000 gun-related homicides). Chronic pain requires consistent medication, and that’s where people will get sucked into thinking they need the medication. A small consistent dose over a long period of time can get the patient hooked. And when the prescription finally runs out, they can slam into a brick wall of withdrawal symptoms. If the doctor discontinues the prescription, if the addiction is bad enough, some people will find other ways to satisfy their cravings. Instead of taking the dangerous route… Cannabis offers a healthy alternative. A major review of cannabis literature demonstrates that of all the various potential medical applications, cannabis provided the most relief for chronic pain. Another study reported that CBD had a longer-lasting, more drawn-out effect than methadone, which must be administered regularly, indicating a potentially more sustainable route of treatment. Cannabidiol relieves pain without numbing the mind or triggering the reward pathway that gets people hooked. In short, we may be better off treating chronic pain with CBD. How Can CBD Stop Addictions? Nearly every addictive behavior uses the same neural pathway in the brain. Drugs like opioids and tobacco trigger these reward centers in which causes the user to get hooked. Research shows that CBD inhibits the reward-facilitating effect from addictive substances. This will help the body to stop making the person feel like they ‘need’ the drug. CBD has also been reported to come with no extreme side effects. For all kinds of withdrawal, cannabidiol may genuinely be the most promising and safest solution available. CBD for opiate withdrawal may even help curb the epidemic. 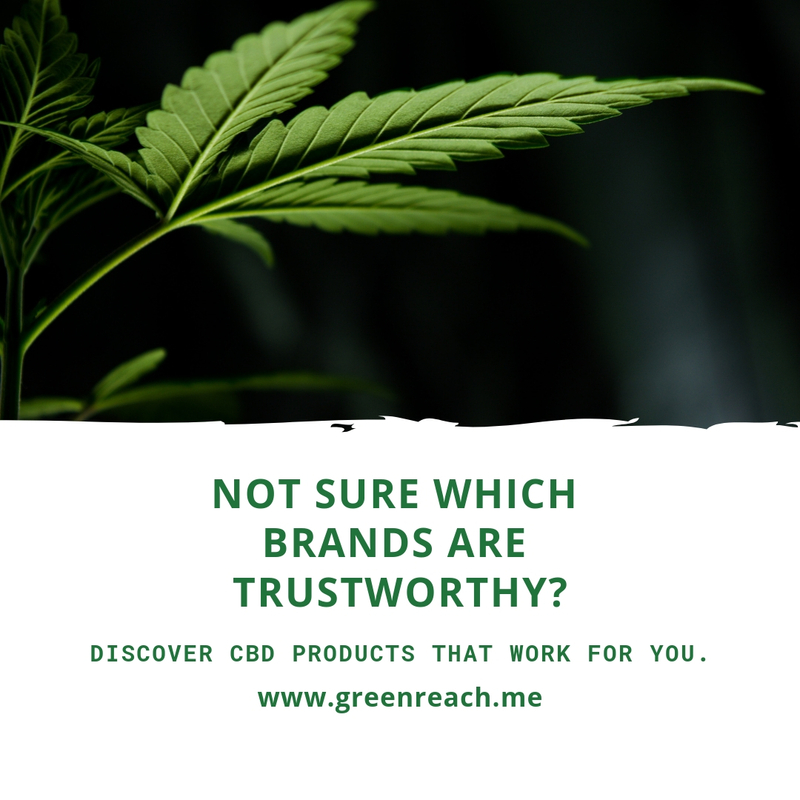 If you are looking to try high-quality CBD products, check out our list of vetted CBD companies!